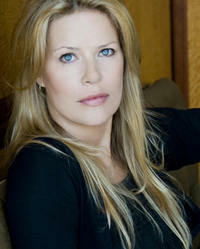 Mary Elizabeth McGlynn is a voice over actress, writer, singer and director. As an actress, she is currently playing Governor Pryce in Star Wars Rebels, Dr. Maheswaran in Steven Universe, Zahra Hydrus in Geek & Sundry's Critical Role, Valkyrie in Lego Marvel's Avengers, Talis in StarCraft II, Johanna in Heroes of the Storm, Queen Metalia in Sailor Moon Crystal and Brooha in Glitter Force. Mary Elizabeth portrayed Major Motoko Kusanagi in Ghost In The Shell Innocence, Solid State Society and Ghost In The Shell: Stand Alone Complex for which she won the American Anime Award for Best Actress. You can also hear her as the Female Crusader in Diablo III: Reaper of Souls, Kurutsu in Ghost in the Shell Arise, Sei in Alpha Protocol and Nora in Final Fantasy XIII. Some of her other popular roles are Cornelia in Code Geas. Kurenai from Naruto, Julia from Cowboy Bebop, Zanpakuto from Bleach, Helba and Bordeau from .hack, Jagura from Wolf's Rain, Nuriko in Fushigi Yuugi and Caroline from Vampire Hunter D.
Mary is voice directing Tangled The series premiering in March 2017, Billy Dilley's Super Subterranean Summer, Penn Zero: Part Time Hero for Disney XD starring Thomas Middleditch, Adam Devine, Alfred Molina and Larry Wilmore and Glitter Force for Saban Entertainment. She has also directed Naruto: Shippuden for over 10 years. She has directed the 6 Naruto Movies as well as Naruto and Naruto Shippuden the series for which she received the 2008 SPJA award for best director. Among her many other directing credits are Cowboy Bebop the series, Cowboy Bebop: Knockin' on Heaven's Door, Tenkai Knights, Digimon Fusion, Stitch!, Disk Wars, Wolf's Rain, Digimon Tamers, the movie Appleseed and was a co-writer for the American adaptation of Metropolis. She also directed the original animated series Boing The Play Ranger and Gormiti: Lords of Nature. Mary Elizabeth has had the great honor of singing the music of Akira Yamaoka for the movies Julia X and Silent Hill as well as the games: Silent Hill 3, The Room, Origins, Shadows of the Damned and Silent Hill: Shattered Memories and Book of Memories which she also voice directed. She also sang songs for Top Gun, Kholat and The Journey Begins from Ace Combat 5.